Will the baseball playoffs drag on into November, or end abruptly, too soon for us all? 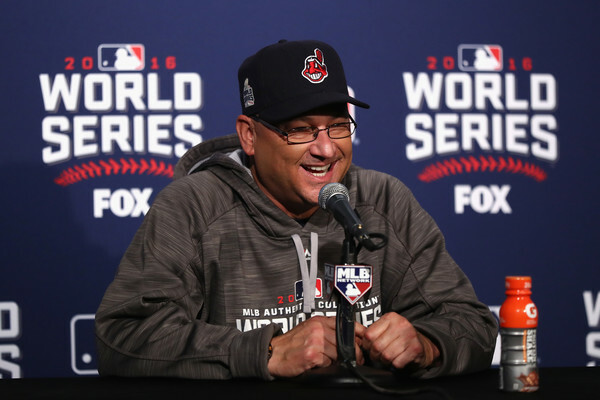 The Cleveland Indians have a 3-1 lead heading into game 5 while the Chicago Cubs send Jon Lester to the mound, hoping to avoid elimination. Much has been said of the Cubs championship drought, lingering for 108 years. But the Indians could end the longest championship drought in the American League, going on since 1948. It could mark an incredible sport renaissance for the city, with the Cavaliers ending Cleveland’s championship drought in June, winning the franchise’s first title. As for the Cleveland Browns, well the less said about them and championships, the better. The Indians keep finding new sources for offense, although the backbone has been Francisco Lindor, Jason Kipnis and Carlos Santana. Their bullpen and pitching overall has been getting most of the praise. Above it all is Terry Francona, who has lost just one game in his career when playing for the World Series, and has done an incredible job of recognizing the hot & cold arms & bats of his team, so far holding the Cubs to 0 runs in two of the series games, just two runs in their game 4 loss, and only one game in which things got out of hand. Meanwhile, the Indians have scored six runs or more twice in this series, including in their 7-2 win in game 4. The Cubs don’t have any rabbits to pull out of a hat when it comes to their offense. What you see is what you get, which hasn’t been much so far. The Cubs have been able to get on base, but they’ve been struggling to do something with it, including 1-for-7 with runners in scoring positions in game 4. That’s not nearly enough scoring opportunities, but against this kind of bullpen and overall pitching capabilities, the Cubs can’t allow opportunities to get away from them. Lester is the big hope before the season ends. The 32-year old appeared in game 1 and gave up 3 runs, but overall his postseason performances have been between solid and great, and he’s a champion with the Boston Red Sox. This is his first win-or-go-home situation in this postseason, the same going for the Cubs in these playoffs. They’ve been constantly saying they don’t feel the panic, the pressure. There can’t be any more pressure than this, but maybe from the desperation their saving performance will come. It would be one of the most anti-climatic things possible: The Indians sweeping the Cubs in Wrigley Field to win the World Series, at least from one point of view. But as far “deserving” goes, the Indians have gone into three series after surprisingly winning the AL Central, and from the underdog position according to odd makers came through again, and again, and perhaps for a third time. It’ll take another big hitting night, not to mention huge help from the bullpen who can’t have much left, but if it’s worked so well so far, there’s no reason why it should collapse at the final moment.